For over 20 years, ADVANCED PLANNING SERVICES, LLC has been providing high-quality, full-service meeting and event planning services for small, mid-sized and large clients across the country. 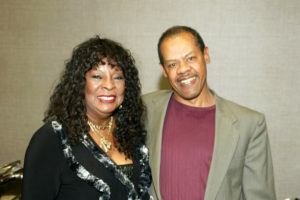 In an interview, founders Gaynelle Adams Jackson and Vernon Jackson, Jr. shared what led them to leave longtime careers in the corporate arena to start their own business and talked about some of their most successful projects. They also have advice for other small businesses on how small firms can handle mid- and large-size event projects. Q: For those unfamiliar, explain what Advanced Planning Services, LLC does. A: Advanced Planning Services, LLC is a full-service meeting and event company providing a wide array of services, including meeting and event management, program planning, exhibit management and small business development and event planning training. We have the ability to tailor our services to meet the needs of major corporations and associations as well as small and mid-sized organizations and businesses. Q: What type of experience and expertise does your company have in the field of meeting and event planning and exhibition management? A: Our founder, Gaynelle Adams Jackson, has more than 20 years of meeting and event management experience, and more than 10 years of experience in program development and training. 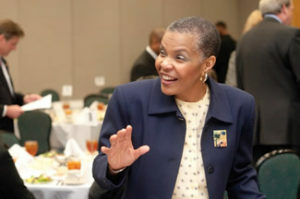 Gaynelle has established a strong network of business and community resources, and has built a reputation as a strong advocate for African-American and women-owned businesses. Vernon R. Jackson, Jr. has over 20 years of project management and 15 years of exhibit management experience. He is experienced in handling all aspects of exhibit/tradeshow management. That includes working with vendors and suppliers, determining the best booth layout or tradeshow floor plan, and determining the most appropriate equipment/hardware needs. Q: There are plenty of meeting and event planning companies out there. What makes Advance Planning Services stand out? * We want everyone to see our faith in our business practices. * We will conduct business in an honest, ethical manner. * We will handle our clients’ money as if it was our own. *We will treat our clients like friends. *We acknowledge our vendors and support staff as a critical part of our service delivery process. *We will provide our clients with the highest quality of service and personalized treatment that we can provide. Q: Give some examples of some of the types of events Advanced Planning Services has handled. A: Since 2008, we have provided event management support for the Study of African American Life and History (ASALH) Annual Meeting, a five-day event that brings together more than 1,200 national and local leaders from the fields of history, education, public policy and civil rights. Since 2005, we have served as co-founder and event coordinator of the A.G. Gaston Conference, an annual two-day event addressing the challenges facing African-American businesses in Birmingham. We also serve as program developer/event coordinator since 2012 for the Alabama MicroEnterprise Network (AMEN) Forum, an all-day forum designed to highlight the economic impact that microbusinesses have on Alabama and the nation. We provided event management support for the 2015 Alabama Automotive Manufacturers Association Matchmaker Event, a statewide gathering that provides area automotive industry buyers with access to suppliers and includes one-on-one meetings, an expo and networking opportunities. Advanced Planning Services also provided exhibit management services for Mercedes-Benz U.S. International Inc., Honda Manufacturing of Alabama, AT&T Inc., and The Clorox Co.
Q: How can a business like Advanced Planning Services, with only two employees, handle such large events? A: In our business model, core services are performed by Advanced Planning Services. All other services are outsourced. This allows us to bring together a team of vendors with the specific skills and expertise needed to exceed our clients’ expectations. Our vendors are people that we have worked with over the years. They are specialists, experts in their particular fields. This business model keeps costs down and is more efficient in that we use only the staff we need for every event. If we need a caterer, we hire a caterer on contract. If we need a public relations consultant, we hire someone with that expertise. We also use volunteers who love to serve the public. This allows us to keep costs down and focus on what we do best- event management and planning. Q: Give an example of how Advanced Planning Services has used your expertise to make a project for a client even better. A: We have been providing event management support for the annual unveiling of the AT&T Alabama African American History Calendar for the past five years. This event showcases the 12 calendar honorees in presentations to area high schools and in a convocation that is open to the general public. We started our relationship with AT&T Alabama by discussing the purpose of the calendar project, “To inspire students by introducing them to Alabama African American role models and to celebrate African American history.” We then suggested that they add a student component to their program. We partnered with Achievers in Life, a young male mentoring program, and the Birmingham City Schools to invite the honorees to share their stories at area high schools, allowing the students to see and hear from these African American achievers. In 2016, we expanded our scope by taking on the design of the calendar itself. We partner with a local graphic designer and website designer on this project. As a result, we helped our client by providing and implementing suggestions that added value to the event. We also brought together the right partners to produce programs/outputs that exceeded client expectations. Q: You’ve handled hundreds of events over the years. Share brief details on a couple that stand out. A: In our minds, each of our events and clients are special. We give all of our clients and events our utmost attention. But if I have to mention any, I’d say the 2004 and 2010 Mercedes Benz U.S. International Inc. Christmas Party, in which we provided event management support, because it involved so many activities. This event brought together 2,000-plus employees, multiple bands, a 23-table casino area, the “Puppet People,” and tons of great food. Also from a historical perspective, I’d say when we provided logistical support for the 2008 Gala Tribute to the Tuskegee Airmen held in conjunction with the opening of the Tuskegee Airman National Museum in Tuskegee, Ala. This was a black-tie banquet for 1,200 people, and the last great gathering of the original Tuskegee Airmen. Advanced Planning Services (APS) serves as the event planner for the A.G. Gaston Conference. My selection of APS was based on my familiarity of the owners, individuals with whom I have the utmost confidence in their ability. I also always like to the ability to form partnerships with our vendors and APS offers that opportunity. Frankly, I never considered another firm. Working with APS has allowed our staff to continue to perform their daily tasks rather than have to spend time working on event logistics. Therefore, we are able to have quality events while still keeping our organization and staff on mission. If a client were on the fence about choosing Advanced Planning Services, I’d tell them about a partnership that’s approaching 15 years that keeps getting better!